Forgive me I have totally forgotten the name of this cake. Every night I pass Paul’s I had a long day and wanted a cake to enjoy. I had the urge for something with berries, and this was enticing me. The cake is made up of several layers of sponge cake base and berries mouse in-between. The berry mouse was slightly bitter and the base of the sponge was slighter crunchy which I thought was interesting. 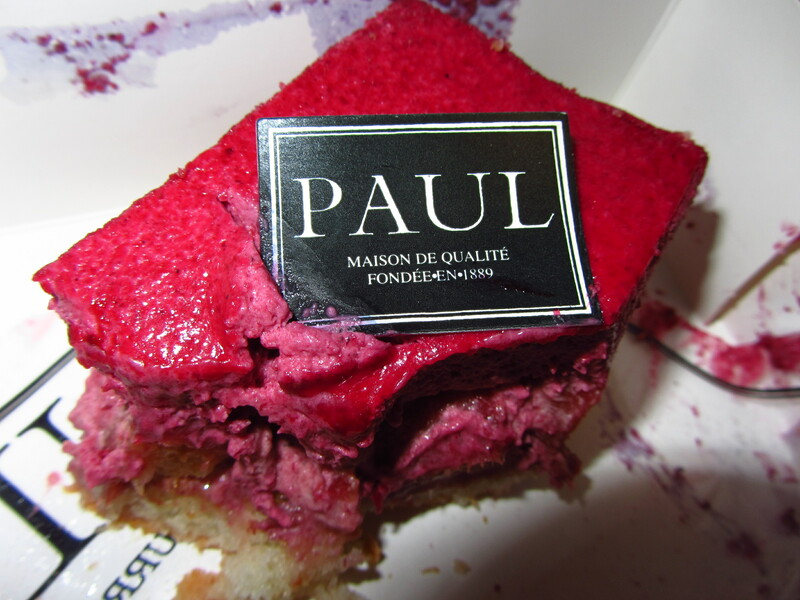 When I think of Pauls it only makes me want to go to France to try the fresh patisseries eve more. I’m still alive, just been super busy to blog, but since I’m pretty much free for a week. Stay tuned for more posts.